Thanks a million, Shin. 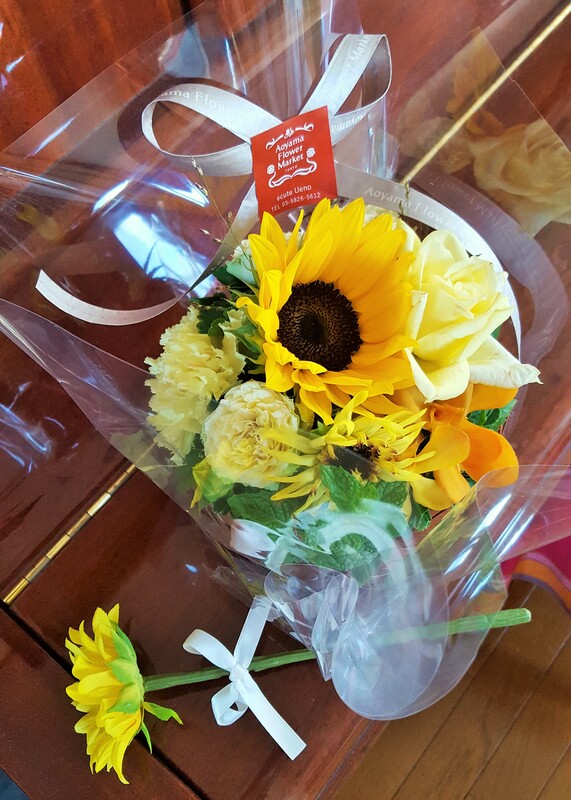 He brought Mei-Shun a lovely bouquet made of sunflower, rose and mint. “Since you heard frail,” he told his wife the reason. Such a little surprise always makes her the happiest. And ball-point-pens featuring summer flowers are also his gift. 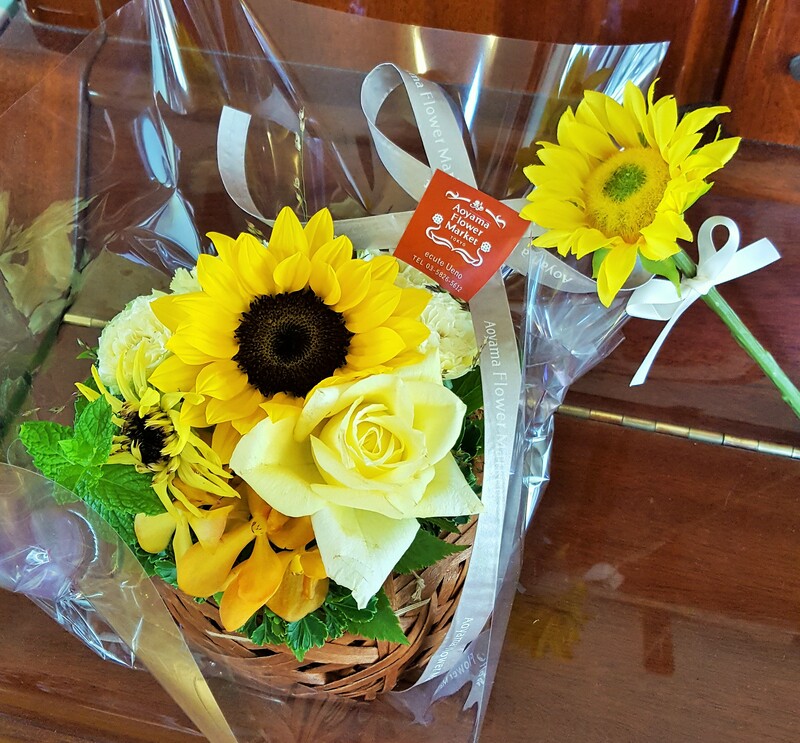 Others include dahlia and gerbera, with the latter no choice of color on the net. However, he gave her one in ivory she preferred the most.